In November of 1777, the Royal Fuziliers were sent to Philadelphia as part of a large reinforcement. The regiment manned various redoubts protecting the city, conducted foraging expeditions and participated in the failed assault on Fort Red Bank. 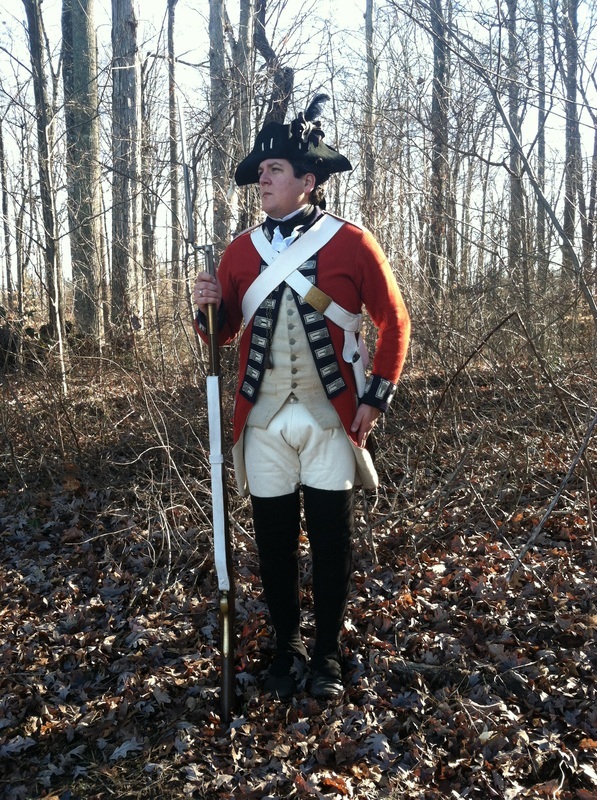 To help defend against the cold, this Fuzilier is wearing his black wool leggings over his wool breeches. 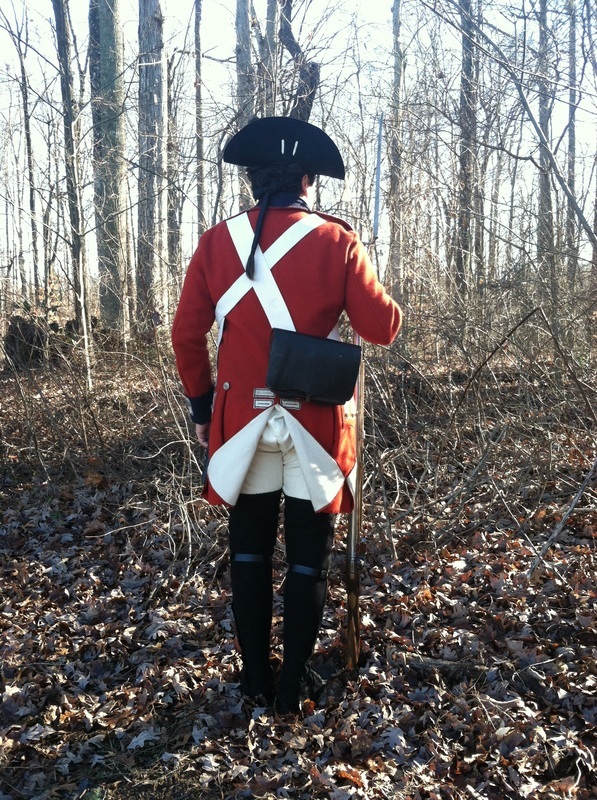 An entry in George Crawford's [7th Regiment] Orderly Book dated May 3rd, 1778 indicated, "The Black Leggins are not to be worn, only on duties, or Field days."